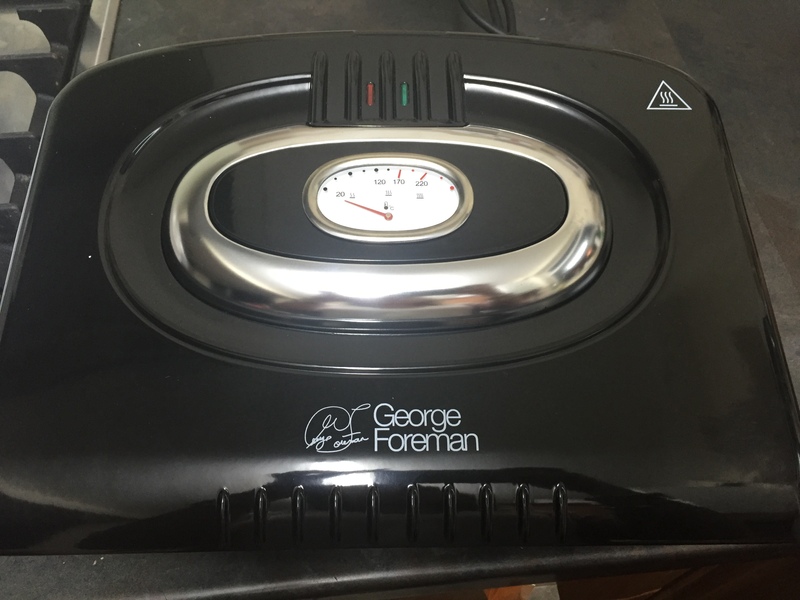 From the same company as I got the Retro Kettle and coffee machine I was also given the opportunity to review a George Foreman Grill. Since moving in my own house just over 12 months ago I want all the latest gadgets for the kitchen to make cooking etc. easier and quicker but also healthier as I don’t get in from work till 6.30pm. I used it for the first time the other night when I cooked Hunters Chicken,(fresh chicken breast with bacon, BBQ sauce and cheese). You can see the fat/juice running into the drip tray. The dial on the top tells you the temperature it is cooking at. The chicken took approximately 20 mins to cook. I checked it was thoroughly cooked through to the middle and the juices were running clear and checked it was piping hot in the middle. You can cook lots of different meats and meals in the grill. 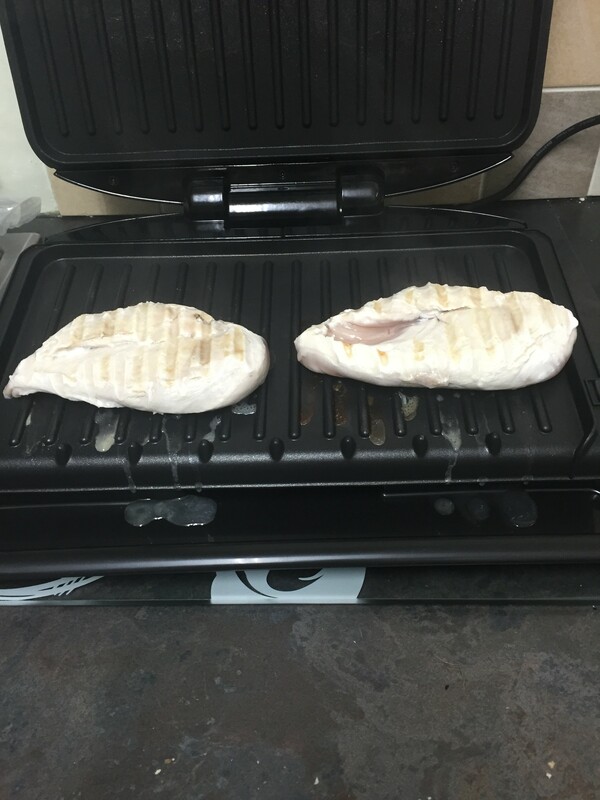 The George foreman grill is very easy to clean as well as it has removable plates, you just press the buttons on the side of each plate to release them. I was sent this product free of charge all opinions and thoughts are my own. My granny passed on her george foreman to me and it makes the best pork chops ever!